It gives me the greatest pleasure to share this delightful ‘home-grown’ book with you. That’s right, direct to you from Paradise aka the beautiful Redcliffe peninsula; a father and daughter team have produced this tribute to our native fauna, especially for smaller humans. 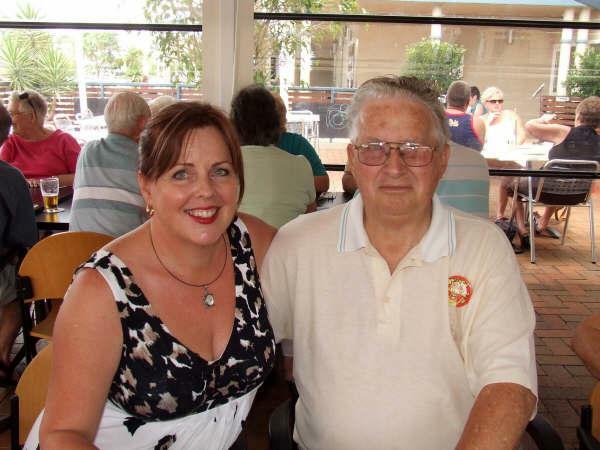 They are, respectively, the granddad and mum of a lovely bubbly young friend with whom I taught here some years ago – and they are a very talented and creative family. As well as koalas and kangaroos, quolls and quokkas, Tasmanian devils and dingos, little fellas like the Bleating Tree Frog are included (I have the most gorgeous big one who lives on my patio!) 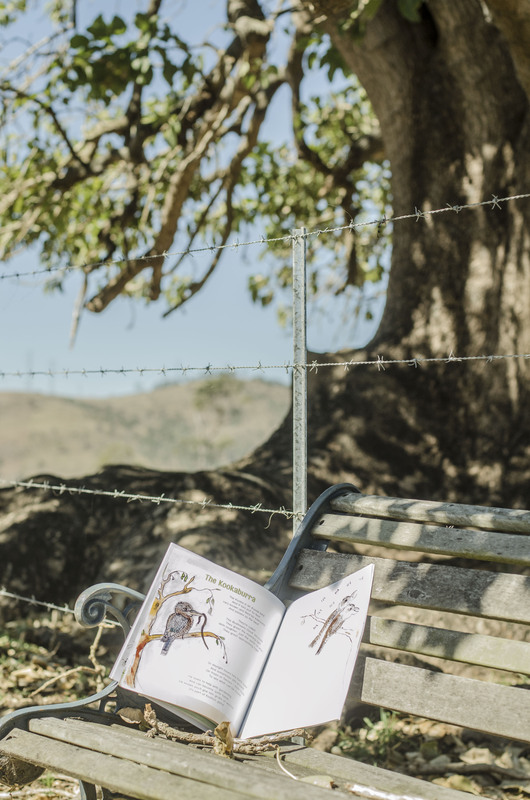 – and there are two wonderfully whimsical poems about the Yowie and the Bunyip – plus (yes, I know you want more!) a final piece about ‘weather warnings’ from various animals. He’s friends with everyone! …. We also both love The Pelican, as these birds are so synonymous with Redcliffe and we love to play our game of ‘count the pelicans’ as we drive across the bridge, to or from the other side of town. 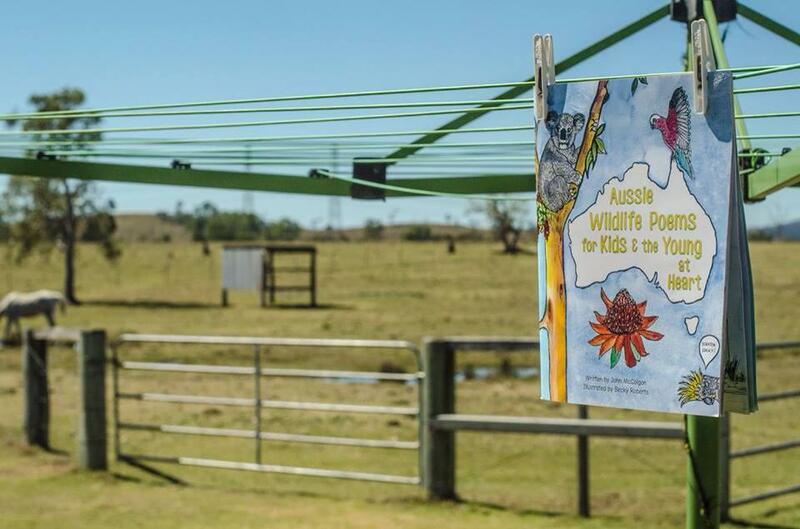 I believe this is a worthy addition not only to your home bookshelf but for the school library where I can see it being well used for those Units focused on Australian Animals. 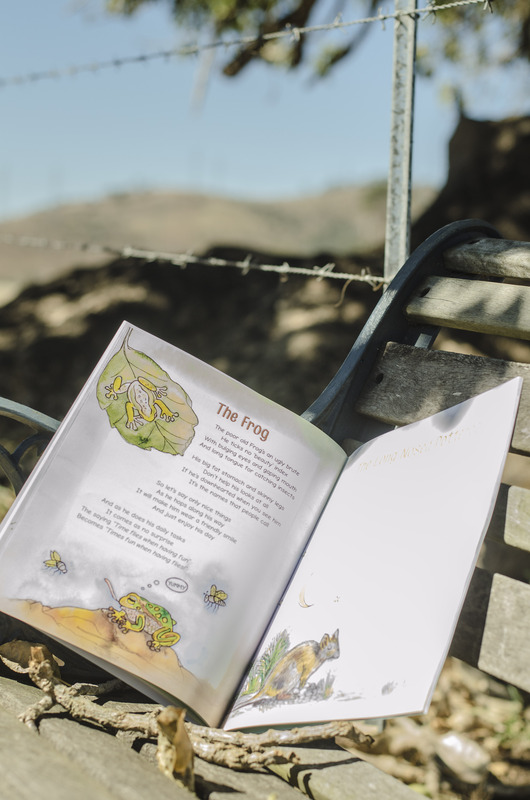 Children will enjoy the rhymes as well as the illustrations and could ‘springboard’ to writing some poems of their own around their animal of choice. Well done to both John and Becky on a great collaboration! P.S. I might add that John is about to celebrate his 86th birthday – what a great way to celebrate with a newly published book! John currently lives in lovely Laurieton, NSW.